Greenhouse gasses may not be the sole culprit behind climate change. According to a new study, ocean currents also play a huge part in regulating our climate. Phys.org reports that Rutgers University research shows major cooling of the Earth and ice buildup that happened 2.7 million years ago took place alongside a shift in the circulation of ocean currents, which pull in heat and CO2 from the Atlantic and move them through the deep ocean in a north to south direction before releasing the water into the Pacific. The scientists, who published their research in the journal Science, believe that the “ocean conveyor system” changed at the same time as a major expansion in the volume of glaciers in the northern hemisphere and a substantial fall in sea levels. They say it was Antarctic ice that cut off heat exchange at the ocean’s surface and forced it down into deeper waters, causing a global climate change during that period – instead of carbon dioxide in the air. “We argue that it was the establishment of modern deep ocean circulation – the ocean conveyor – about 2.7 million years ago, and not a major change in carbon dioxide concentration in the atmosphere that triggered an expansion of the ice sheets in the northern hemisphere,” says Stella Woodard, lead author of the study and post-doctoral researcher at Rutgers Department of Marine and Coastal Sciences. 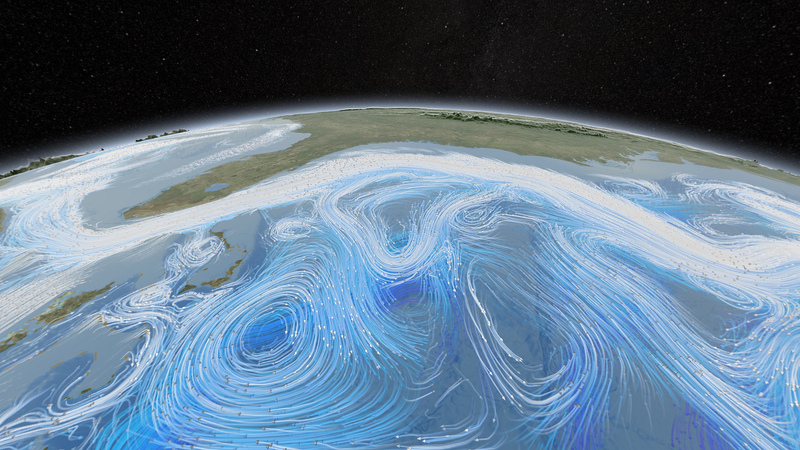 Ocean currents may play a large part in climate change according to new research. 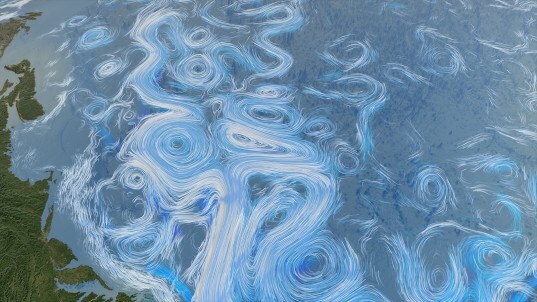 Ocean currents played a large part in climate change events in the past, according to new research.